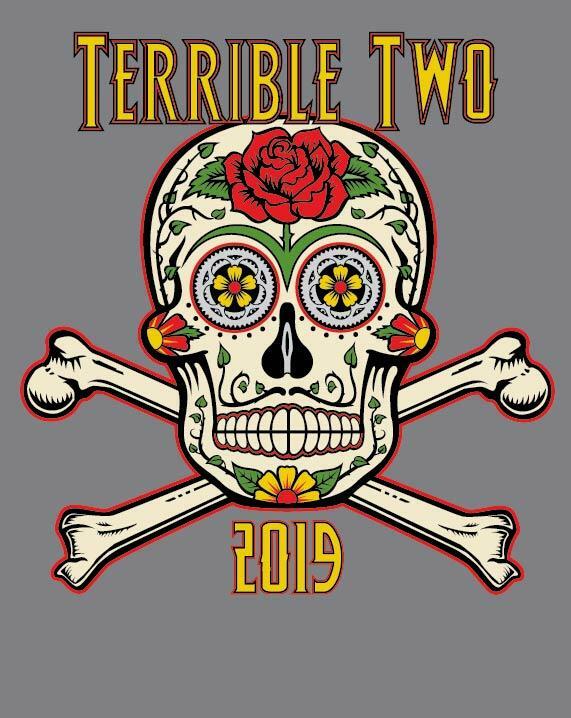 The 2019 Terrible Two and 200K events will take place on Saturday, June 15th. We will be using RFID for timing and tracking this year. All riders will be REQUIRED to have the RFID tag attached to their helmet. No tag = no credit. No exceptions. Please contact Scot at roadiescot@me.com with any questions. All entries will be confirmed by e-mail. A second e-mail will be sent approximately one week prior to the event and will include additional information. Registration is from March 1 to May 31. Registration closes on June 12. Riders must wear their official bib number and must check in at each rest stop. Failure to do so will result in disqualification. Two water bottles are highly recommended. Riders who drop out must notify course officials in person or call in. Don't make us look for you all night! Riders must reach the Monte Rio Rest Stop by 10:00 pm. There will be no services on the course in the miles leading to the Monte Rio RS after 10:00 pm. Course support will be limited to the portion between Monte Rio and Analy High School until 11:00 pm. After 10:00 pm, if so requested by the event chairman or his deputies, riders will get into a SAG wagon to be returned to the start/finish location if it is the determination of the event director that a rider will not make the finish by 11:00 pm. After 11:00 pm, riders should understand that there will be no services on the course and that SRCC is not obligated to provide any further assistance, though we will do our best to bring all riders in safely. After 11:00 pm, riders should expect to SAG in to the finish. Sonoma and Napa County's rural and coastal roads are very popular with cyclists. You may only visit here once or twice a year, but the residents along our route have cyclists--in large groups and small--passing their homes and farms and wineries every day. You can help us preserve friendly relations with our neighbors by being a good ambassador for cycling when you ride here. Our use of this route in the future may depend on your good cycling behavior now. Thank you for your cooperation! A few seconds off your time do not justify the risk of an accident or the loss of our good public relations within this community. With 250 or more riders in a mass start, it is essential that all participants exercise restraint and simple common sense, especially in the first few miles, while the field is still bunched up. Riders will be required to check in at the lunch stop. If you do not continue beyond lunch you must still check in. 1:45 pm is the cut-off for riders leaving the lunch stop and continuing on the course. Riders wishing to leave after 1:45 pm but before 2:00 pm must demonstrate to the event director that there are extenuating circumstances (e.g., mechanicals) to their late departure and that they do have the capability, demonstrated by earlier finish times at other rest stops, to make the finish time. Under no circumstances will any rider be permitted to leave the lunch stop on course as part of this event after 2:00 pm. A local rider (or two) will be on hand to guide you back to the start if you prefer not to SAG. (This ends up being a very nice 140+ mile ride.) Our cut-off times are based on years of observation of the successes and failures of riders over the second half of the course. We provide drop bags at the start for delivering your light systems (or food or clothing) to three rest stops: Lunch and the last two, Fort Ross and Monte Rio. Riders should understand that if they have sent a drop bag to the wrong rest stop, the event organizers are not obligated to move that bag to a different rest stop. Unclaimed (or unused) drop bags will be returned to the finish by the rest stop crews, often very late in the evening. Contents of bags left behind at the finish will be mailed to participants if the bags contain valuables (such as lights and some clothing). We will not return energy bars, food, etc. You will be expected to pay the postage for all returned items. If you have left some of your gear out on the course, please check carefully for it (or ask) at the finish before you head home.